Born: 22 May 1859, Mossel Bay, South Africa. Died: 2 June 1914, Standerton, South Africa. Edward Harker Vintcent (or Vincent) Melvill (sometimes Melville), surveyor and engineer, was the son of Samuel Melvill*, a former surveyor-general of the Transvaal, and his wife Martha Henrietta Amelia, born Ahrens, and was a brother of George Melvill*. He Melvill was educated at the South African College, Cape Town, matriculated through the University of the Cape of Good Hope in 1876, and two years later passed the university's examination for the Certificate of proficiency in the theory of land surveying. He was admitted to practice as a land surveyor in the Cape Colony in 1879, working first in Oudtshoorn and then in Cape Town. In 1883 he married Joanna Elizabeth Rowe ("Daisy") Eedes, with whom he had at least four sons. During 1887-1888 Melvill performed the first section of the trigonometric survey of British Bechuanaland. Starting at Banks Drift, near Taung, he carried a network of triangles northwards along the valley of the Dry Harts River to Letlayoli [not identified], connecting it to a baseline that had already been measured by H.D. Laffan* near Vryburg. The survey was continued from there by J.J. Bosman* and A. Moorrees*, who carried a system of triangles westwards to the border between British Bechuanaland and German South West Africa (now Namibia). The southern end of Melvill's survey was later connected to the primary trigonometrical stations near Kimberley. Melvill then moved to Johannesburg. In 1890 the government decided to order a general survey of the whole Witwatersrand district and entrusted the central and most important section to Melvill. His survey was later described by W.C. van der Sterr* (1905), while its position relative to the geodetic survey of South Africa was considered by Robinson (1907). In 1895 Melvill compiled a map of part of the eastern border of the South African Republic (Transvaal), showing beacons, distances, and the Lebombo Mountains. He was attached to Consolidated Goldfields of South Africa as their chief surveyor from 1895 to 1903, while at the same time he was managing director of the African Land and Investment Company. He was appointed as a justice of the peace for Johannesburg in January 1902. From 1903 to 1904 he went on holiday to Europe. He published an article on "The reversible or double level" in the Journal of the Institute of Land Surveyors of the Transvaal (Vol. 1(8), pp. 318-) in 1908. Melle belonged to a number of scientific and professional societies and participated actively in the activities of some of them. He was an associate member of the (British) Institution of Civil Engineers, a Fellow of both the Geological Society of London and the Royal Geographical Society, and a member of the (British) Institution of Mining and Metallurgy. In 1894 he became a member of the South African Association of Engineers and Architects. He was also a member of the Geological Society of South Africa from its inception, and served on its council for many years. His interest in geology is shown by his "Note on the Robert Victor Diamond Mine", published in the society's Transactions (1909, Vol. 12, pp. 205-212). In 1902 he became a foundation member of the South African Association for the Advancement of Science, serving on its first council (to 1904) and on the committee for Section C (which then included surveying). In 1908 he was a member of the association's committee for the standardisation of weights and measures in South Africa. In March 1903 he and T. Reunert*, representing the association, inspected possible sites in Johannesburg on which an official meteorological observatory was to be erected. Under the direction of R.T.A. Innes* it later developed into the Transvaal (astronomical) Observatory. He also joined the South African Philosophical Society in 1901, and remained a member until some time after it became the Royal Society of South Africa in 1908. In 1905 he joined the Institute of Land Surveyors of the Transvaal, having been admitted to practice in the colony in July 1902, just after the conclusion of the Anglo-Boer War (1899-1902). During 1900-1902 Melvill was an examiner for the University of the Cape of Good Hope, setting papers in surveying for its final examination in mining. His fee as examiner amounted to 21 pounds in 1901, which he donated to the South African College to be used as prize money for the best geological mapping performed by students. 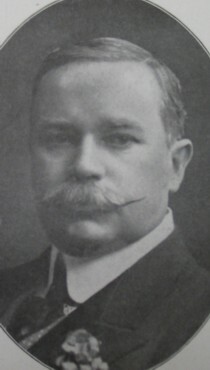 In 1903 he served as a member of the Technical Education Commission, appointed by the Lieutenant-Governor of the Transvaal to report on the future of higher education in the colony. In 1905 he was appointed a member of the Commission, chaired by R.T.A. Innes, appointed to consider and report upon a draft ordinance to consolidate and amend the law relating to weights and measures. The commission recommended the legalisation of both the Metric and Imperial systems of weights and measures, but in a minority report Melvill urged that the Metric system only should be legalised and its use made compulsory. Unfortunately he was overruled. In 1909 Melvill published a short article on the derivation of the word "theodolite" (Nature, 1909). The next year he was granted a United States patent for new and useful improvements in instruments for surveying and like purposes. Later the Johannesburg residential suburb Melville was named after him. Cape of Good Hope. Report of the Surveyor-General, 1880, 1895, 1897, 1904. Edwin Harker Vincent Melvill. Geni. Retrieved from https://www.geni.com/people/Edward-Melvill/4566328148270035145 on 2018-10-8. Geological Society of South Africa. Proceedings, 1915, Vol. 18, p. xix (announcement by the president); Transactions, 1897, Vol. 2; 1899, Vol. 4; 1906, Vol. 10: Lists of members and office bearers. Google Patents: Instrument for surveying and like purposes. Retrieved from https://patents.google.com/patent/US979531A/en on 2018-10-8. Google scholar. http://scholar.google.co.za Publications by E.H.V. Melvill. National Automated Archival Information Retrieval System (NAAIRS). http://www.national.archives.gov.za/naairs.htm Documents relating to Melvill, Edward Harker Vintcent / Melvill, E.H.V. Orr, J. Presidential address. Associated Scientific and Technical Societies of South Africa, Annual Proceedings, 1938, p. 15-86 (See p. 26). Royal Society of South African. Transactions, 1908-1910, Vol. 1, list of members. South African Association for the Advancement of Science. Report, 1903, 1904, 1905/6, 1908, 1910. Standard encyclopaedia of southern African (SESA). Cape Town: NASOU, 1970-1976. Transvaal [Colony], Meteorological Department. Report to 30 June 1903. Transvaal [Colony]. Report of the commission appointed to consider and report upon a Draft Ordinance to consolidate and amend the law relating to Weights and Measures. Pretoria: Government Printer, 1906. (National Archives, Pretoria, Vol. TKP265). University of the Cape of Good Hope. Calendar, 1884/5, 1899/1900, 1902/3. Van der Sterr, W.C. The triangulation of the Johannesburgh goldfields. Adresses and papers read at the joint meeting of the British and South African Associations for the Advancement of Science held in South Africa, 1905, Vol. 1, pp. 369-374.